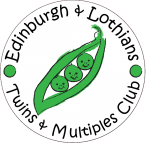 Why Join a Local Twinsclub? 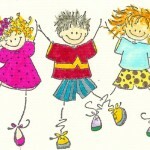 When you have twins or multiples, it can be like living in a goldfish bowl. There’s no doubt you feel special but wherever you go, somebody is watching you. At the baby clinic, the other mums look concerned and ask: “How on earth do you manage?”. In shops, customers eye you up and down as you struggle with the double buggy and on afternoon walks, well-wishers stop to chat. Of course this all adds to the general delight of having twins but you still long to feel normal, to take part in something without being the centre of attention. That’s what’s so great about joining your local twins club. 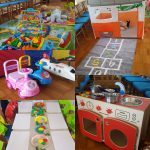 I found mine (in Cannock, Staffs) – a mother and toddler group which meets at Cannock Stadium. Funded by Cannock’s Gateway Project and run by a voluntary organisation called Family Focus, it’s specially designed for twins and triplets. Within minutes of meeting other mums I felt at home, there was no stress and no pressure and you don’t feel as if all eyes are on you the minute you enter the room. For once I could relax and chat and although it’s called a mother and toddler group, babies are welcome from any age. As with most twins clubs, expectant mums can also drop by for friendly advice and tips on how to survive the first months after their instant family arrives. My only regret was that I didn’t visit sooner. I only found out about the group when my daughters, Emily and Melissa were just under a year old, although I have to admit that even if I had known about it before I don’t know whether I would’ve had the energy to attend! But I was really glad I made the effort. It was hard to believe how laid back it was and how quickly the time passed. More used to trying to keep an eye on two inquisitive babies as everyone around me coped with one, I was impressed by the patience and affection of the volunteers. And I was delighted by the ease of the mums’ conversation. Within 20 minutes of arriving, I had swopped horror stories about teething, picked up tips on taking a family holiday abroad and discussed the pros and cons of staying at home with the kids versus returning to work. The group also has practical information at its fingertips about any help or initiatives available to families of twins, triplets or more. Personally, I can’t recommend it enough.